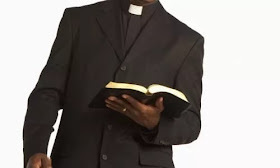 The Lagos State Magistrate Court yesterday ordered that one Pastor Emmanuel Okwedimbu be remanded in prison custody for allegedly defrauding and threatening to kill one of his church members identified as Amobi Charles over N1.4m land scam. Charles was said to have contacted Okwedimbu to pray for him because he wanted to procure a piece of land. This, the accused obliged with a promise to assist him in getting a genuine piece of land which he never accomplished,Daily Post reports. Trouble, however, started when Charles noticed that Okwedimbu was avoiding him after collecting his money. It was learnt that when Charles confronted Okwedimbu demanding for a refund of his money since the latter could not get the landed property as promised, only then he realised that the latter had no intention to purchase the land or refund his money. Following his confrontation, Okwedimbu was alleged to have threatened to kill Charles if he demanded for the money again. In view of Okwedimbu’s threat, Charles reported the matter at the Idimu Police Station in Lagos State. In spite of the police invitation extended to Okwedimbu, the latter reportedly refused to show up. It was reported that for refusing to show up at the Idimu police station, men of the force trailed Okwedimbu to his house with the aim of arresting him but on sighting Charles and the police officers, he took to his heels. The police men were said to have pursued, caught up and arrested him. Okwedimbu’s who was alleged to have confessed to collecting the said money from Charles to purchase a land, however claimed that he had spent it.